Butterfly earrings inspired by the little creatures found in the Uists. 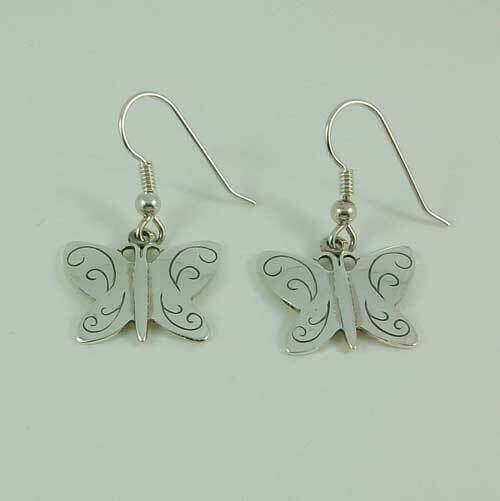 The earrings feature a delicate scroll design on the butterfly's wings. Handmade in our workshop in South Uist.